Discussion in 'Personal Paint Logs' started by Itepixcauh, Mar 23, 2016. I took a VERY long hiatus from the hobby, and recently KoW brought me back. After almost 10 years without picking up a brush it was a delight to finally give it a go. Decided to start with my favourite model, the mighty Stegadon. The beast is finished, not the crew though. Anyways they are in a WIP state, Hope you like it! First crew member is almost done too, call it a colour test of you will, I'm doing 3 members for now and If I feel it needs more I will add the other two. Not sure of it really, don't want it to look cramped. Imrahil, Vosrik, Teheloqtec and 17 others like this. 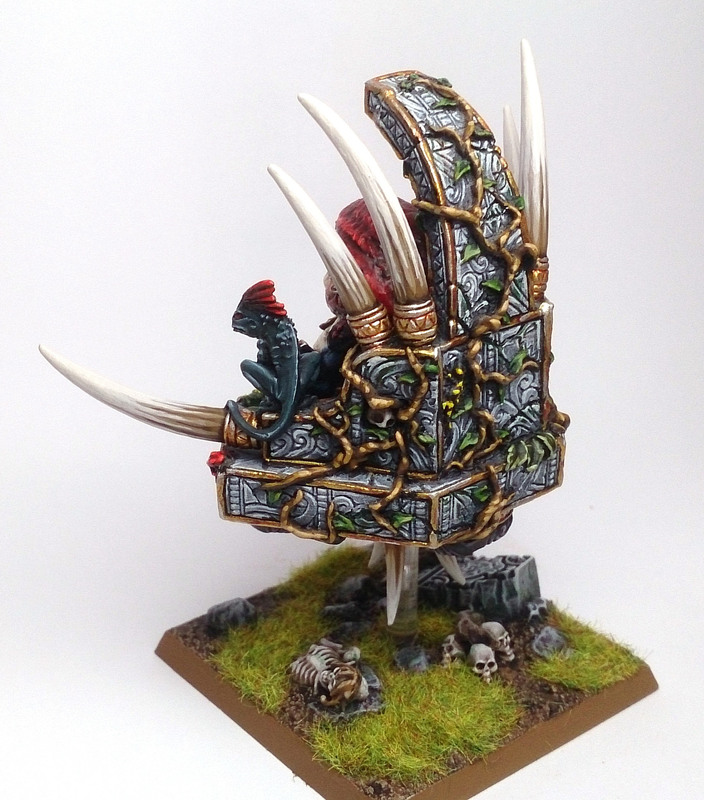 This Stegadon looks incredible! The greens with the silver and gold of the engine works really well together! I also really like the vibrant colours of the skink! I love your painting style!! those extreme highlights on dark colors look amazing! AngelRaven, Valjeanthebeast, Crowsfoot and 2 others like this. Great job, I love your style man. Crowsfoot, Itepixcauh and Bowser like this. Wow... that is professional quality! Valjeanthebeast, Crowsfoot, Itepixcauh and 1 other person like this. I see that you were a very accomplished painter years ago and it looks like you have not lost your touch, your style is similar to mine but I think you have a cleaner finish. Very keen to see you progress and I'm looking forward to seeing more, the green wash on the steps is a very nice touch. Got any pics of your past work? Valjeanthebeast, Bowser and Itepixcauh like this. This last one is very special to me, as it was my first professional sculpting work, It was sculpted for Urban Mammoth, back when Urban Wars started. I ended up doing most part of the Syntha line. kubapj, Imrahil, HeirofCarnage and 11 others like this. When I saw your avatar I thought 'man, that guy seems like a sharp painter'. That empireman with the brush halberd is hilarious!! Wow, that Empire knight is stunning, they all are. For not picking up a brush in ten years, doesn't look like you took a break at all! And of course you would start with the biggest model you could find! 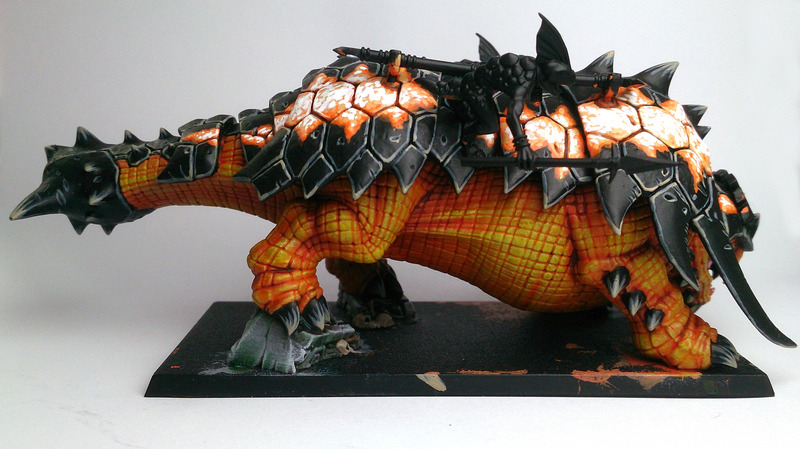 The skin on the stegadon is beautiful, and the color choice on the skink is really nicely done. Awesome work! Toltecatl, Warden, StealthKnightSteg and 5 others like this. 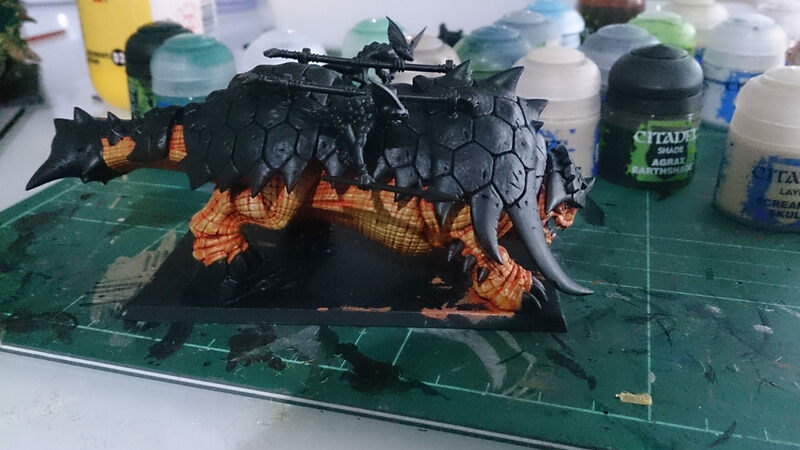 Looks good so far similar colour for the skin on my bastiladon! Can't wait to see the finished product! Amazing work! 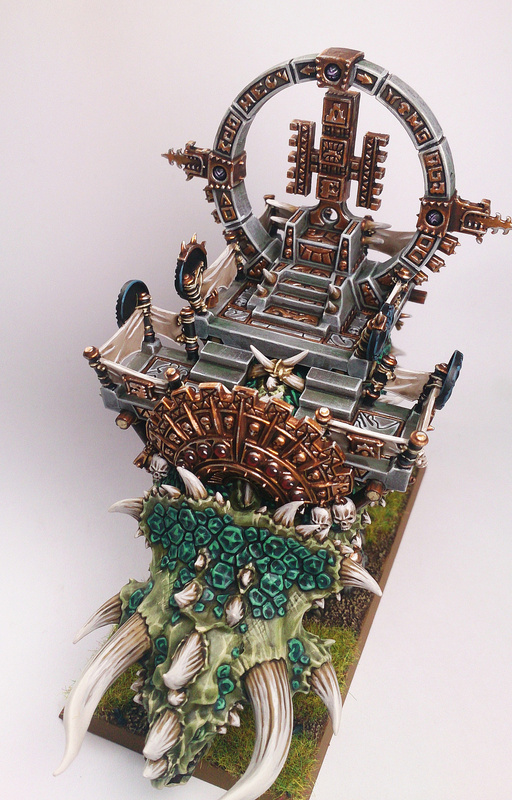 That stegadon is absolutely beautiful , how long did it take to finish him? And that bretonnian knight, wow! Do you have an army of those guys painted up too??? 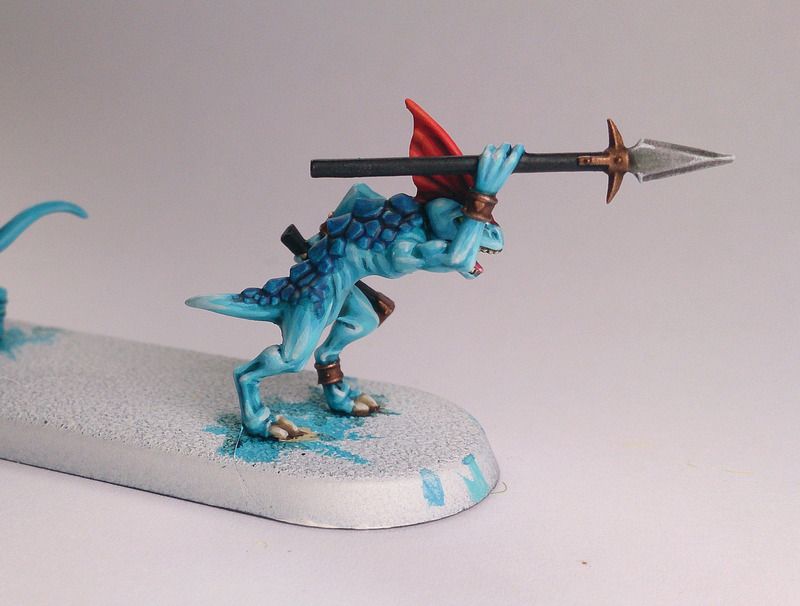 Also I loved the paintbrush pikeman, well done all around! Hoping to see more! Valjeanthebeast, Itepixcauh and Bowser like this. Well Its been a long time since I've had the time to update the Plog, I've been informed recently that I will be a father for the first time and my wife has been my top 1 priority but finally I can update it! 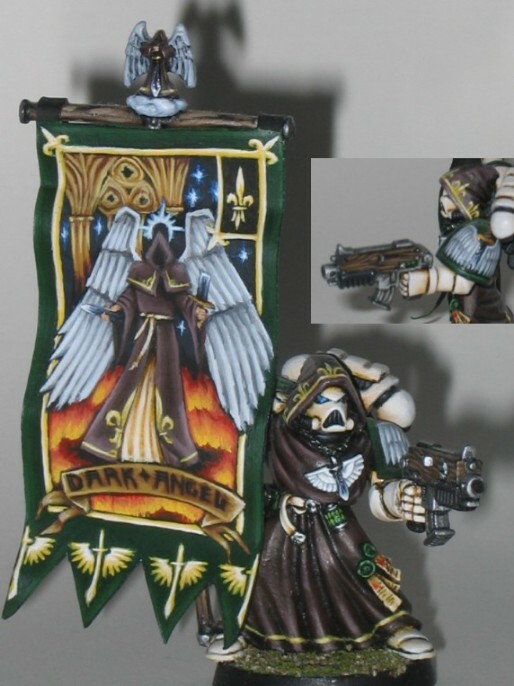 It was made for a painting competition, and I'm painting an army too yes. But my priority right now are my Lizardmen. The paintbrush pikeman was a prize in an online painting competition that I won. I think it was made by Gamezone but I'm not sure, it was a really fun mini to paint. Well, now the good stuff. 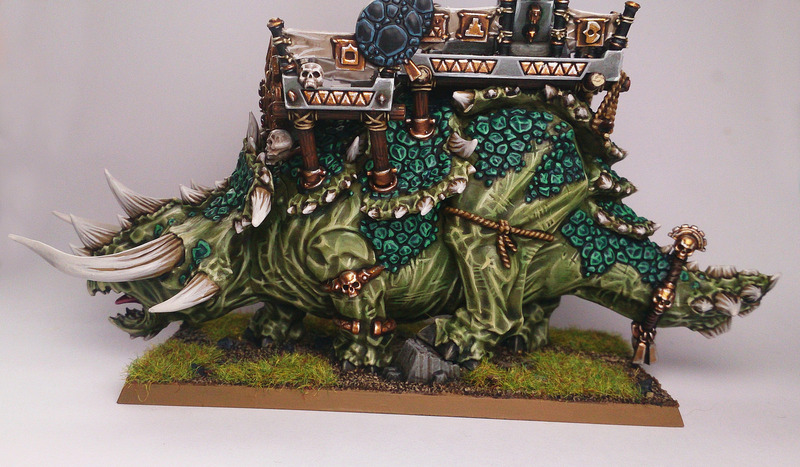 I'm making a good progress with the Bastiladon, quite happy with how he looks. In the mean time I decided to restore and bring to date my Slann, he was covered in dust and badly chipped, but I didn't wanted to strip him so I repainted some bits (Horns mainly) I rebased him and proceded to add some extreme highlights to the whole model (my painting style has changed a lot with time, who knew). All in all I'm really happy with him right now. If I where to repaint him I will do things very differently BUT with just a day worth of work He is looking up to date. ASSASSIN_NR_1, Imrahil, Koriialstraz and 15 others like this. I love all of it! 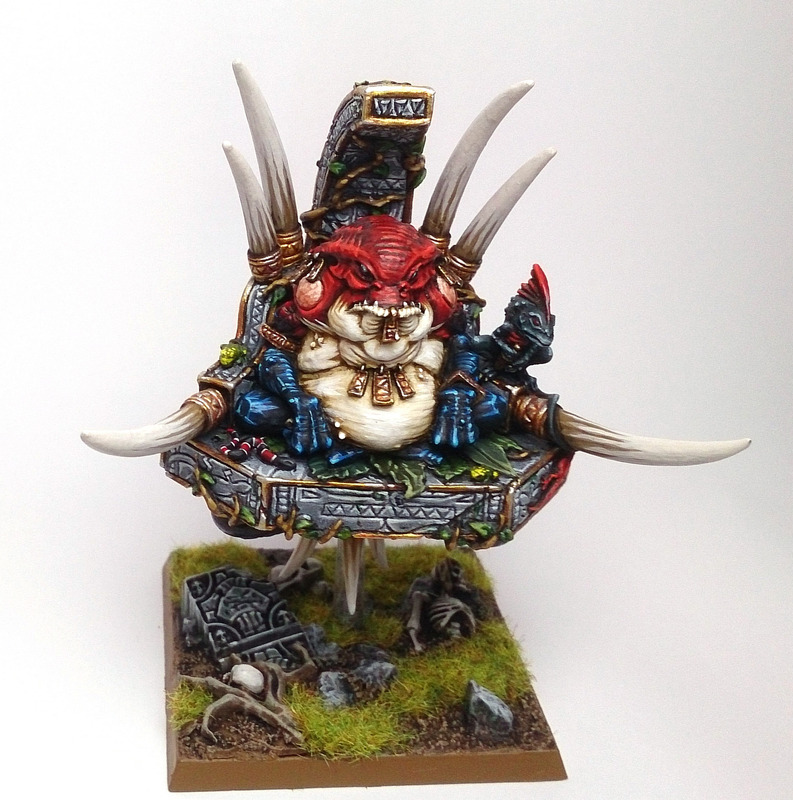 Specially the small toads on the slann´s seat and all the small creatures! 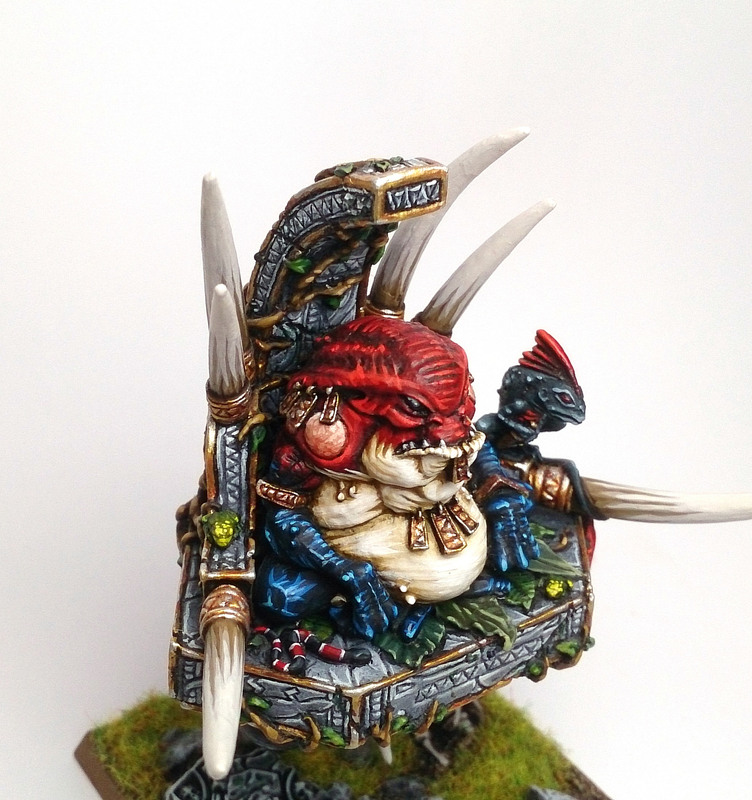 The slann looks amazing! 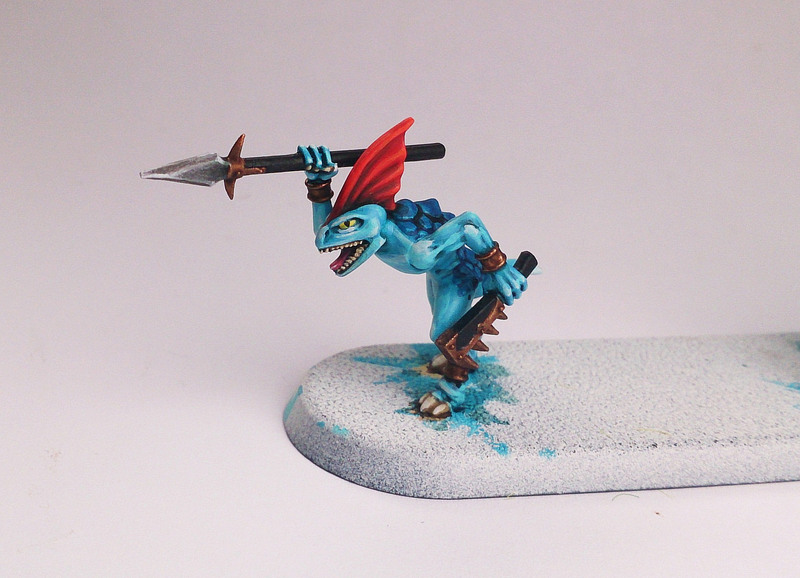 I really like how his coloration looks like the skinks in your army! Beautiful detailing on the throne as well! 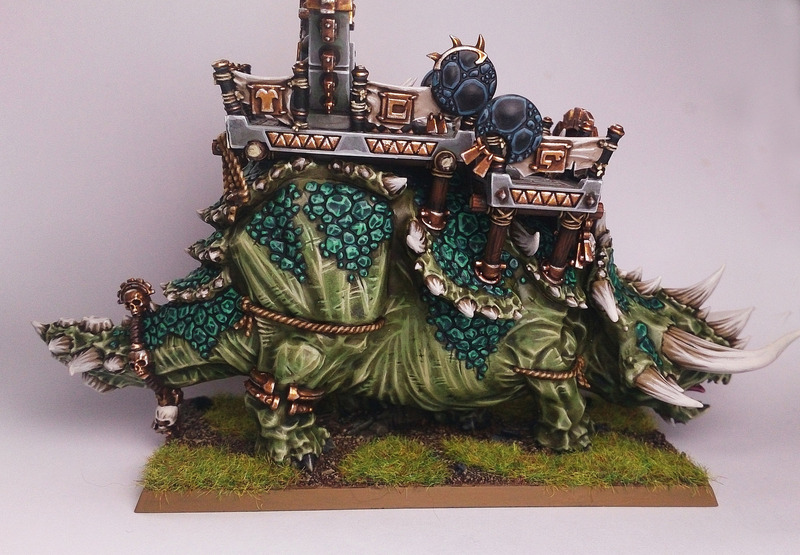 Bastiladon is looking better and better each time! I really like the design on the shell!